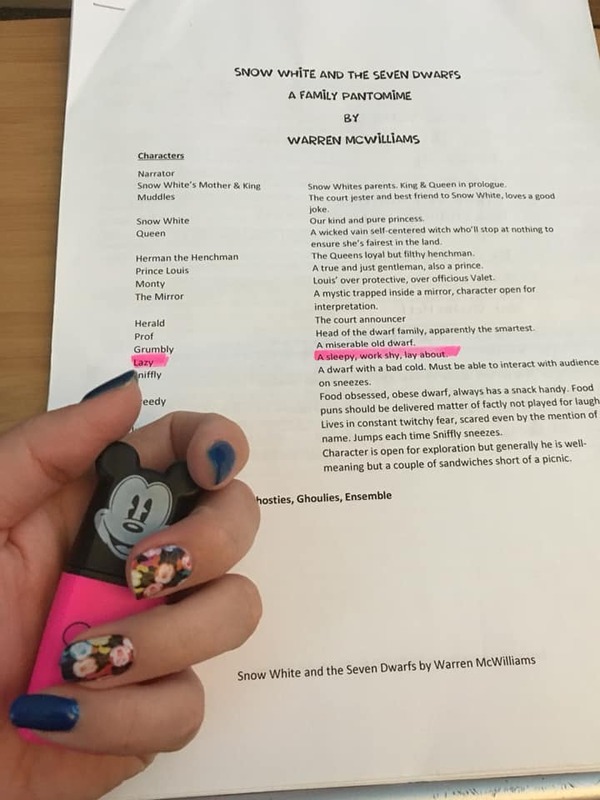 Hell, I’m Chris and I am kicking off the SMP’s Snow White and the Seven Dwarfs blog. After a great turn out for our read through we had a very successful bunch of auditions. I couldn’t quite believe the talent I witnessed and could not be more excited to direct a show with such a fabulous group of performers. Not only have I got a brilliant cast, I also have to mention the amazing production team: Wendy our choreographer, Hayley our assistant choreographer and finally Kate and Mike our joint musical directors. 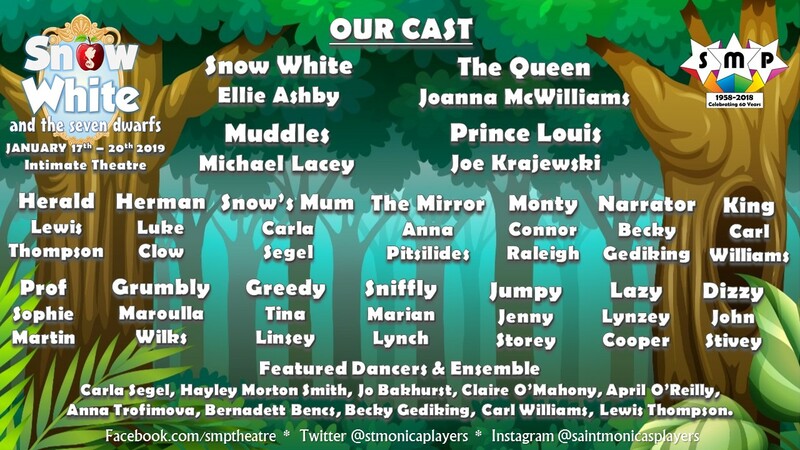 This will be my second panto that I have directed with SMP. I am extremely excited to be back on the other side of the curtain again (even though I love being on stage) but I am determined, with this production team and cast to make this an absolutely tremendous show. It has been 21 years since I first stepped onto the stage at the Intimate Theatre, and coincidentally, 20 years since I first performed with our fabulous choreographer, Wendy (Babes in the Wood, 1998). Unfortunately, it is very likely that Snow White will be the last show ever performed on this stage. If this is so, then our duty is the make sure that we put on the #GreatestPantoEver. With the brilliant cast, marvellous production team, creative technical team and magnificent writer (Warren McWilliams) then this task will be easier than biting an apple. Rehearsals commence today! The cast have not been informed of what exactly they will up to tonight – but we have given them a clue – be prepared to get wet.